In recent years the gut wrenching Razor Blade swallowing illusion has become increasingly popular. What has always been regarded as a stage routine has now been adapted for close up and street performing environments by Dan Sperry. The ring that you select should be slightly larger than the size you normally wear. View Demo! With Defiance, you are able to harness the power to animate small objects in new and impossible ways. Each routine is modular, hard-hitting and contains multiple methods so you can customize each routine to suit YOUR personal performing style. The package comes with EVERYTHING you need Borrow a ring , and in the cleanest way you vanish it at your fingertips - both hands are clearly empty. Reach into your back pocket and produce your keys - and their ring is on your keyring! Introducing the world's most impossible and invisible ring flight, check out the demo! EVP is the strongest miracle you could ever perform with a borrowed cellphone. EVP gives you the power to put the apparent PROOF of life after death onto your spectator's phone. A memento they can keep forever and never forget. 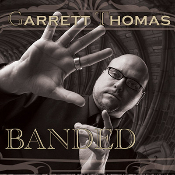 Check out the Demo! The LOCKING PEN THRU is the “perfect” stealth weapon for your magic arsenal! As seen on the hit TV series "Criss Angel Believe" on SpikeTV! 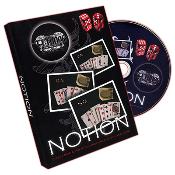 Includes: LED Anti-Gravity Card FloatIT kit* Official Deck of Criss Angel Cards Exclusive Web Link for Instructional Videos Over 20 AMAZING Tricks YOU can Perform! LIGHTS UP! 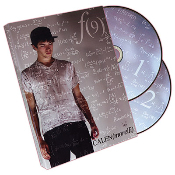 FREAK... Function 9 is a collection of nine effects from the mind of Calen Morelli. 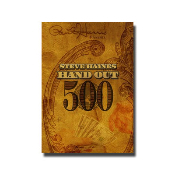 The Big Handout Happiness is that you can now immediately hand out all of the hundreds for examination! iLogo definitely stands out. It’s based on a clever idea and the method is equally brilliant. Unlike most iPhone effects, 'iLogo' does not interact with the electronics and screen of the iPhone. It's simply a physical effect with the iPhone body that looks great. Mesika's Loops made miracles possible. Now, Innercircle makes those miracles possible ANYWHERE, at ANY TIME. 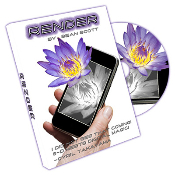 For the first time ever, three groundbreaking items in one package: ANIMATED MIRACLES, LOOPS, The INNERCIRCLE CARD, This combination is the ultimate utility of levitations and animations. The two objects pass through each other like REAL MAGIC! 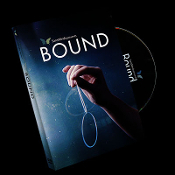 In this DVD, you will learn 5 visual effects, and every DVD comes with all props you need. Check out the demonstration. A freely selected card is examined. 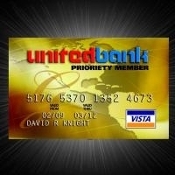 Without warning, you shove a coin through the card! 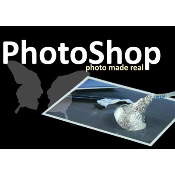 An effect that is direct, easy to do, and will totally blow your audiences' minds. How many times do you think people look at a magazine and thought "I wish I could just pull that out right out?" Now you can! 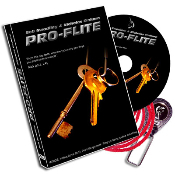 Within minutes of watching the instructional DVD you will be adding Pro-Flite to your keys. RENDER is REAL magic on your digital device! Use with various makes and models of phones/media players. 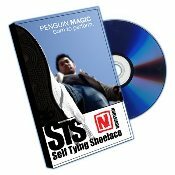 Imagine a flashy, quick-hitting trick that is always in your wallet, always ready to go, never needs a reset, and uses a unique gimmick to create the impression of advanced sleight of hand… A perfect effect has finally found a beautiful method! 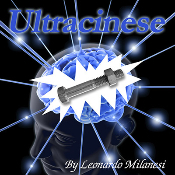 The only Magic Device with 3 patents - MADE IN THE USA - Still have concerns? 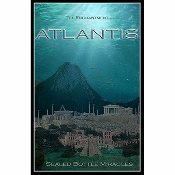 Check out what they are saying about it at The Magic Cafe This is a collection of 7 effects from the mind of Eric Ross which are sure to stun even the most perceptive spectators. 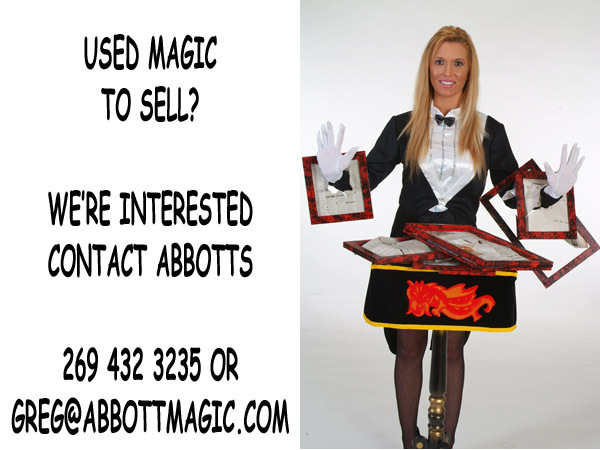 Learn to perform incredible street magic. 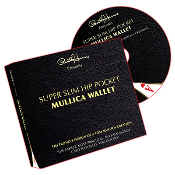 Countless Pros have tried every conceivable "Card to Wallet" out there and almost always end up using The Mullica Wallet. It's just hard to improve on perfection. 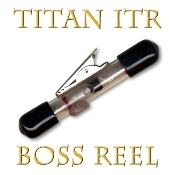 This Reel is the Ultimate Close-Up levitation device for the Professional Magician. 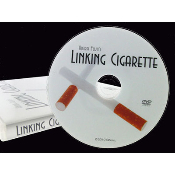 Includes the hand made gimmick that works on a simple AA battery (not included), thorough written instructions, and a bonus DVD giving handling details. Imagine taking almost any small object and instantly penetrate it into a 100% completely sealed bottle of water that has been held by the spectator. The magician shows a coin, then he bites the coin and removes a piece of the coin, the coin is clearly shown to be missing a part. 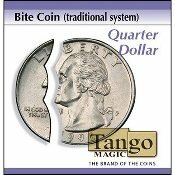 The magician blows on the coin and instantly the coin now looks to be whole again! 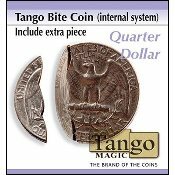 The magician shows a coin, then he bites the coin and removes a piece of the coin The magician shows a coin, then he bites the coin and removes a piece of the coin, the coin is clearly shown to be missing a part. 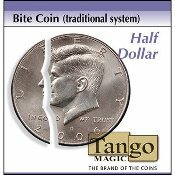 To finish the effect, the magician blows on the coin and instantly the coin now looks to be whole again! You can vanish, change colors, sizes or shapes of different objects, cut and restore a rope, etc. Each DVD is filled with mind-blowing MINDFREAKS personally created and/or hand picked by Criss Angel. 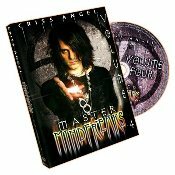 Each DVD is filled with mind-blowing MINDFREAKS personally created and/or hand picked by Criss Angel. 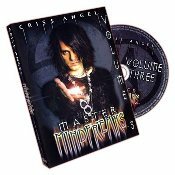 Each DVD is filled with mind-blowing MINDFREAKS personally created and/or hand picked by Criss Angel. Can be performed fully surrounded.Stunningly and very VISUAL. 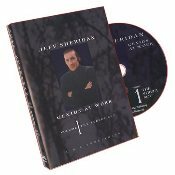 As popular as the concept is now, contemporary street magic can all be traced back to one time, one place and to one performer-Jeff Sheridan.